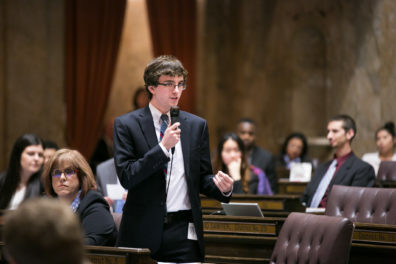 Two WSU students made “history” this past spring, as history majors Nathan Trivers and Andrew “Reed” Simock served as state legislative interns in Olympia. Both completed internships during the eight-week 2016 legislative session. As part of his three-credit internship, Reed agreed to provide the department with a summary of his duties and experiences working with Sen. Andy Billig (D), 3rd District–Spokane. The winning team, Dignity Before Detention, consists of team chair Madeleine Hunter, a junior history major, senior chemical engineering majors Kasey Markland and Margaret Wyckoff, senior humanities major Kari Whitney from WSU’s Global Campus, and graduate student Kiana Yektansani, who is studying economics. The faculty advisor is Ken Faunce, a history instructor in the College of Arts and Sciences. WSU Vancouver’s Phi Alpha Theta chapter sent two undergraduate students to the Northwest Regional Conference hosted by Western Washington University in Bellingham, April 8-9. Jacob Walton’s “Not Real Indians: How European Perceptions of Pacific and Plateau Cultures Shaped the Pacific Northwest” and Eric Rouse’s “Secrets of Death: Unit 731, Japan’s Human Experiment Unit” were well received by both audience and commentators from regional universities. Steve Fountain chaired a panel and commented on another. WSU Vancouver also will induct three new members into the Alpha Xi Mu chapter of the History Honors Society this spring: Samantha Edgerton, Samantha Rintoul, and Eric Rouse. The Department of History offers its congratulations to history major Kevin Schilling and all the members of his team for their successful work in the Washington Consortium for the Liberal Arts (WaCLA) PR Campaign contest. 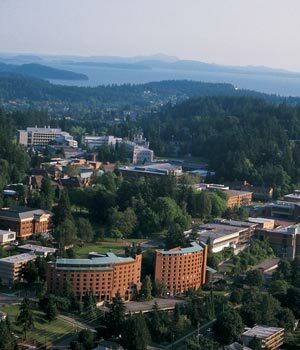 This interdisciplinary team competed with other undergraduate students from colleges and universities across the state to design a public relations campaign promoting the value of the liberal arts to the citizens of the state of Washington and the region. 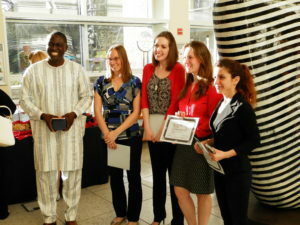 The team from WSU was selected to be the first recipient of the $10,000 award to support the campaign’s implementation.